In May, John was diagnosed with stage 4 melanoma. He is undergoing immunotherapy at Sarah Cannon Cancer Institute in Nashville TN. John has a great attitude to fight this disease. 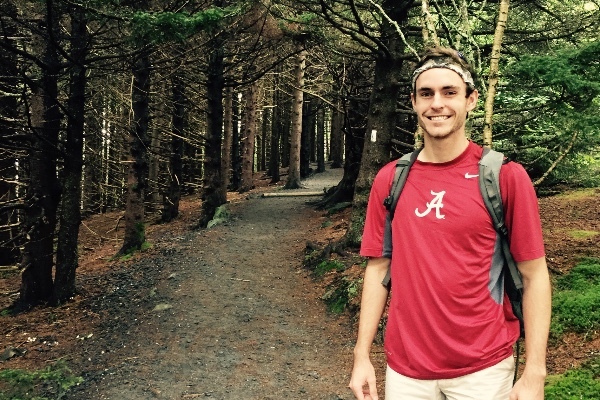 John is a Chemical Engineering student at the University of Alabama with hopes of becoming a doctor. He was suppose to take his MCAT this Summer. He is having to postpone his education to fight this disease. Thank you for your consideration to help John. I just want to thank everyone who is willing to support me and my family financially, emotionally, and spiritually. Donations not only allow us to pay costs for treatment and hospital visits, but give peace of mind and assurance that we are cared for and supported by others in this process. I gratefully cherish your support, and I know that the Lord is graciously in control of it all. I tried and receieved the same message. On Behalf of Alex and our whole family we want you to know you and your family are in our hearts and prayers. Thinking of you often and praying for your healing John. Thanking God for the light that you are. Here for you brother.